The Royce Brook Academy of Golf offers a variety of lesson-configurations focused on all phases of the golf game to suit your individual needs. 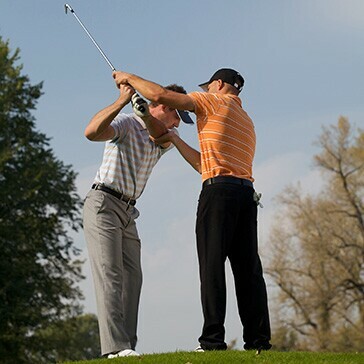 Partner with another player for a semi-private lesson, or opt to have an individual private lesson. Lessons are offered seven days a week. Choose between thirty-minute or one-hour sessions. Purchase individually or discounted packages of five. 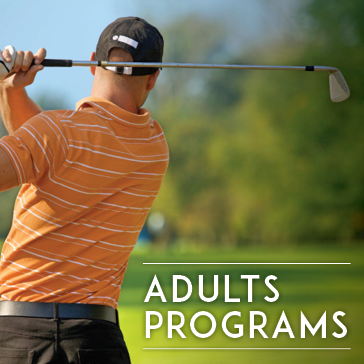 Our PGA golf instructors deliver personalized lessons tailored to our students’ goals. Using proven teaching techniques based on each students' body makeup, which incorporates the latest in golf instruction technology to improve your game. 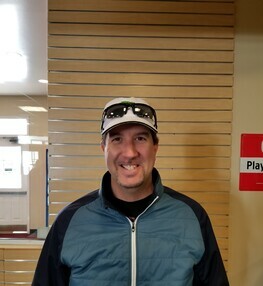 Contact Warren Raatz, PGA Director of Instruction to book your private lesson at 908.904.0499 ext. 1918, or click "Book Now" below. Sessions are held Monday through Friday, focus on fundamentals: full swing, woods, putting and chipping. Basic rules and etiquette will also be covered. Each day we combine practice with interactive activities, the juniors will enjoy and see golf as a life time sport. Sessions are held Monday through Friday, combine both instruction and on course skills experience. Juniors will receive instruction on all aspects of the game: full-swing, chipping putting, and pitch shots: along with learning the rules, terms and etiquette of the game. Lunch is provided each day. Sessions held on Tuesday, Wednesday, and Thursday, focus on fundamentals: full swing, woods, putting and chipping. Basic rules and etiquette will also be covered. For 2 hours each day we combine practice with interactive activities, so the juniors enjoy golf and see it as a life time sport. This program will focus on fundamentals; full swing, woods, putting and chipping. Basic rules and etiquette will also be covered. For two hours each day we combine practice with interactive activities so the juniors enjoy golf and see it as a life time sport. This program is designed for juniors of every skill level from 6-year-old beginners, to aspiring high school or collegiate golfers. 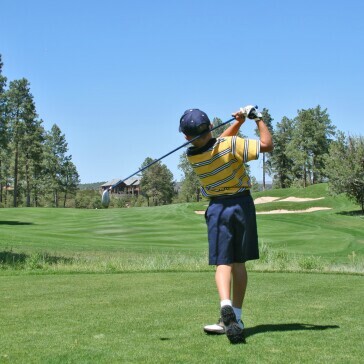 Whether your junior golfer is just getting started or is a seasoned tournament player we can take them to the next level. The focus will be on the set-up fundamentals and swing as well as the short game, putting and chipping. Basic rules and etiquette will also be covered. For one and a half hours each day we combine practice with fun activities, so the juniors can enjoy golf and see it as a life time sport. 3 pack series -$135 includes: (3) 90-minutes sessions - SAVE $45.00!! Registration for all Junior Programs at discounts in person or by phone (One-day only). Want A More Consistent Golf Swing? Then these sessions are perfect for you! This program is designed for the golfer who wants to work on reinforcing their full swing fundamentals to arrive at a more consistent game. What will a more consistent golf swing do for my game? LOWER YOUR SCORES!! Series of 3 sessions $135.00 – Save $45.00! !